At this point, it became obvious to the watching world that the trial of Bafarawa was political. It was a deliberate witch-hunt. For some 10 years now, Alhaji Attahiru Bafarawa, former governor of Sokoto State, has been in the eye of the storm. He has faced a serial and ceaseless witch-hunt in the hands of his immediate successor, Alhaji Aliyu Wamakko and the the Economic and Financial Crimes Commission (EFCC). At a time when most state governors were leaving their states with a huge debt overhang, Bafarawa left N2 billion in the coffers of Sokoto State. He did so in order to protect the state from unforeseen contingencies by providing for the rainy day. Regrettably, his successor, Wamakko, who was expected to give credit to the man who made it possible for his government to take off on a sound footing, decided to play politics with the legacy that Bafarawa left behind. Wamakko denied the existence of the said N2 billion in the accounts of the state government. But Bafarawa would not succumb to that antic. Ever clinical in his approach to issues, Bafarawa went for all the documentary evidence that was required to back up his claim. And in order to ensure that Wamakko did not get away with any cover-up, Bafarawa approached the EFCC over the matter. He urged the Commission to freeze the account of Sokoto State government where the N2 billion was domiciled so that the governor would not misappropriate the said fund and deny its existence. Under this circumstance, the EFCC was expected to beam its searchlight on the financial operations of the Sokoto State government under Wamakko. But rather than do that, the commission invited Bafarawa to shed light on his letter. Strangely, Bafarawa was detained in the process. The complainant instantly became the accused. The matter has witnessed a lot of turns and twists since it began in 2008. The Sokoto State government has had cause to turn the tables against Bafarawa by slamming more charges against him. 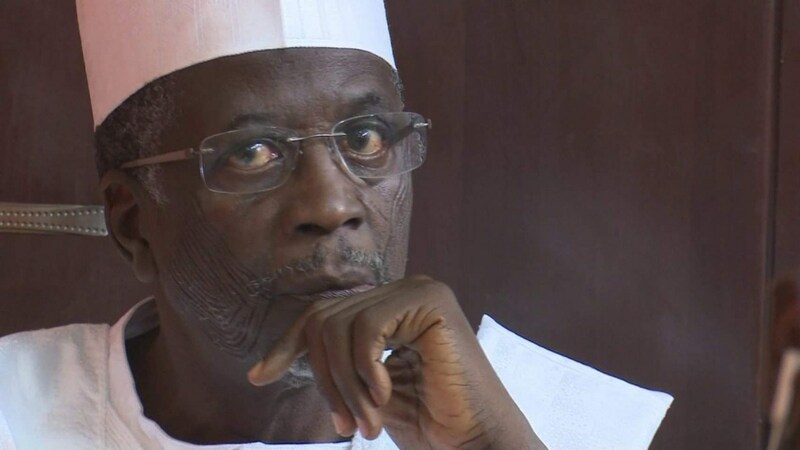 In December 2009, Bafarawa and his fellow accused persons were arraigned by the Sokoto State High Court on a 47-count charge bordering on misappropriation and embezzlement. Then in September 2011, the prosecution filed a fresh motion in which it amended its charges to 22 counts. Bafarawa and his co-defendants were accused of misappropriating and embezzling N15 billion belonging to Sokoto State government. However, strange things continued to happen. While the EFCC was prosecuting the case it brought before Bafarawa and others accused alongside with him, the state government was busy withdrawing its charges against some of them. Those who switched to Governor Wamakko’s political camp got a reprieve. Their ‘sins’ were forgiven. At this point, it became obvious to the watching world that the trial of Bafarawa was political. It was a deliberate witch-hunt. A calculated attempt to give the dog a bad name in order to hang it. As if the acquittal of some of the accused persons was not enough, five of the accused persons were fully pardoned by the Sokoto State government, thus giving the impression that the accused were necessarily sinners who needed to be pardoned or forgiven. This was part of the shenanigans that we were treated to until the law took its ultimate course three days ago. While delivering judgement on the matter this Tuesday, Justice Bello Abbas dismissed all the 22 counts over which the accused were being tried. He said the prosecution failed to prove its case beyond reasonable doubt. The judgement dismissed all the evidence brought by the prosecution as mere hearsay. Consequently, the judge discharged and acquitted Bafarawa and four others who stood trial with him to the very end. With this judgement, it has become evident, even to incurable doubting Thomases, that what Bafarawa has gone through in the past 10 years was mere witch-hunt. During the intervening period, he was harassed, harangued and blackmailed. He was given a bad name, which he never deserved. But the court has demonstrated that all that we have been witnessing was vendetta. Someone wanted to gain undue advantage over the other on account of politics. It was primitive and bitter politics at its most banal. the accused persons. But we know that it is trite law to assume that an accused remains innocent until proven guilty. But in Sokoto, those accused persons were presumed and pronounced guilty and, therefore, needed to be pardoned by the state government. This is one of those aberrations that have not made it possible for Nigeria to make progress. We assault the system freely and still expect it to work. Those fellows got the soft treatment because they chose the easy way out. They were ready to procure their freedom by whatever means. And it worked for them. If Bafarawa were not a man of principle, he would have caved in at some point. He would have abandoned his political flag and pitched tent with his traducers. But the man stood his ground. He chose to fight on the side of truth. And truth, in the final analysis, has set him free. The point must be made that the system we operate in Nigeria permits all manner of ribaldry. Today, there are many other Nigerians who are being persecuted on account of their political leanings. The good thing here is that Bafarawa remained steadfast to the very end. He did not succumb to blackmail. He was not deterred by threats or intimidation. He remained principled in the face of the rough tide. He did not jump from pillar to post as some of his co- defendants did. In the end, he has cause to smile. This is the stuff that a patriot is made of. In this matter, we take consolation in the fact that our judiciary has not been submerged yet by politics. When everything else appears to have gone awry, we can still boast of a judiciary that can save the country from total annihilation. The courts can do a lot more to save Nigeria from itself. With the courts, the well-oiled witch-hunt aimed at nailing the innocent has ended up in futility. A mere waste of time. We can only ask the courts to be ready to do more not only to save our democracy but also Nigeria as a country. So much impunity is going on at the moment. Some agencies of government are overstepping their bounds. That was why one of them said recently that it would not allow anybody who has a pending corruption case in court to stand for election. This is one of those ridiculous things we hear every day. Certain agencies of government have conveniently forgotten their core mandate. They are now interested in dabbling into provinces that do not belong to them. We only hope that their overzealousness will not rock the boat.